P.A. 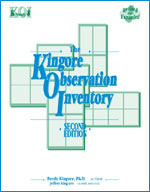 Publishing: Kingore Observation Inventory (KOI), 2nd ed. 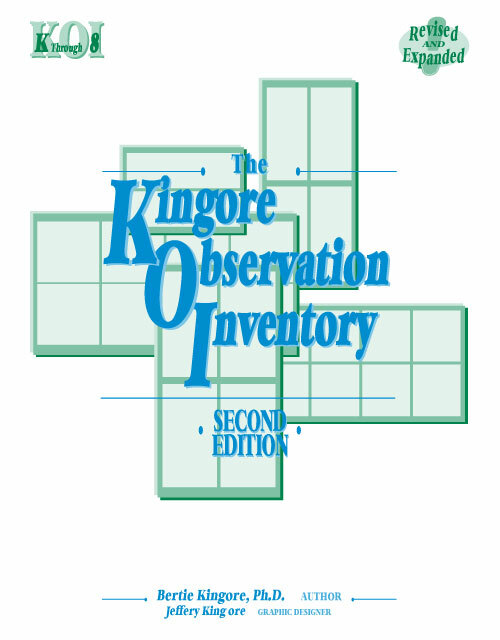 The Kingore Observation Inventory (KOI) has been successfully implemented to identify gifted and talented behaviors in students for over 10 years in almost every state in America and several other countries, including Australia, Canada, and Mexico. It is celebrated for its ability to identify gifted potentials in minority students and students from poverty who are frequently difficult to identify through standardized tests. It is valued by educators for its effectiveness and efficiency. 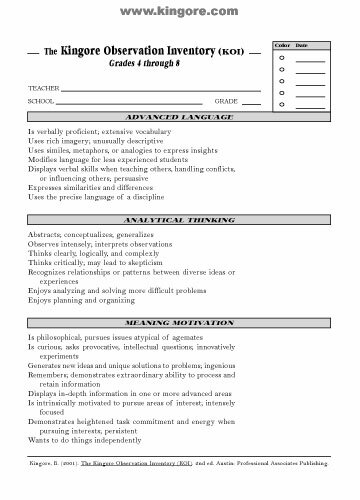 This process helps teachers immediately initiate appropriate differentiation in the classroom for students whose learning responses exceed the expectations of the core curriculum. An easy-to-use assessment and differentiation process, the KOI enables educators to enrich the learning environment for all children while identifying gifted and talented students through seven categories of observable behavior. Expanded into two levels, K-3 and 4-8, this book provides for each: multiple differentiation activities, the KOI forms, Parent Information Forms, procedures and interpretations of the process, successful techniques, and answers to the most frequently posed questions. 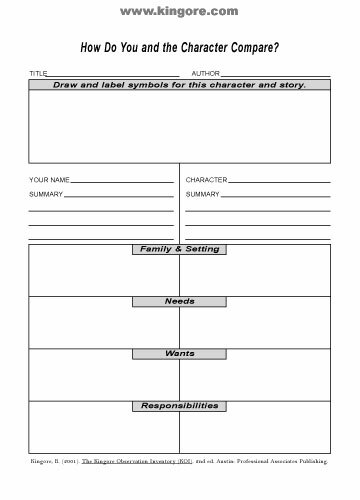 Implementing standards for observations and student products that document teachers' insights about their students to other educators. 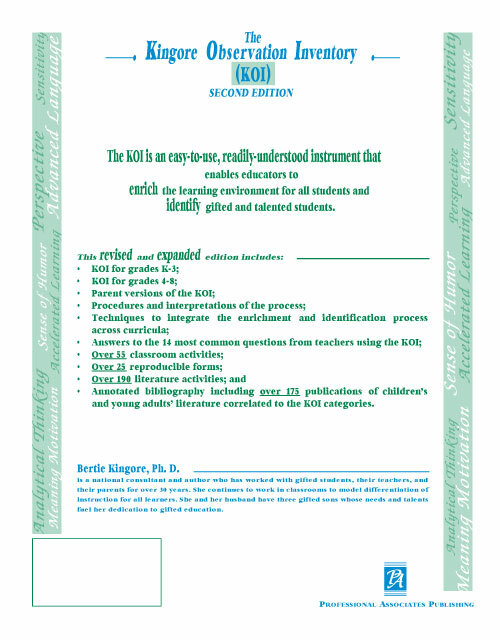 Annotated bibliography of over 175 children and young adult literature publications correlated to the KOI categories.